Though profiles are not predictors, these experts say there are warning signs. Just hours before President Obama met with families of the victims of the Umpqua Community College massacre in Oregon, a Northern Arizona University student shot classmates following an altercation in a parking lot. There would be more fatal gun violence at a school in Texas that same day. In the wake of such tragedies, the reaction has become routine: a flurry of “thoughts and prayers,” calls for increased gun control on the Left, rebuttals on the Right, and then silence, until the next shooting ignites the same cycle. Nothing really changes, and the whole process is infuriating in its reactiveness. Little attention is paid to the time before a shooting occurs, before these (mostly) young men feel compelled to reach for a gun. What’s happening—or not happening—in the months and years that lead to such tragedies? While criminal violence is down from 30 years ago, the number of targeted mass shootings has increased, particularly in the last decade. Between 2000-06 and 2007-13, active public shootings have increased about 150 percent in the U.S., according to a 2014 FBI study. So what’s different? These young people, these angry, sometimes-loner-type-but-not-always teens and young adults, have existed in every generation before, when mass shootings weren’t splashed across front pages every few weeks. Figuring out what has changed requires asking some uncomfortable questions. “It’s important to recognize there’s no one answer to that,” Dr. Peter Langman, a psychologist who has studied mass shootings, told Next America. But conversations with Langman and forensic psychologist Dr. Reid Meloy, who has extensively studied school shootings and the people who carry them out, offer some revelations worth mentioning. For one thing, newspaper front pages have changed. They’re mostly pixels now, not ink, and news travels fast. Shooters know that their names and faces will bounce around Facebook and Twitter, and make their way to the front pages of news sites and blogs around the world. Their acts result in notoriety, a sick celebrity status, and that’s a powerful allure for young people who, in some cases, haven’t really found a place to belong in the real world. Meloy told Next America that from an epidemiological perspective, one of the macro variables that has shifted most dramatically in the past six or seven years is the advent and proliferation of social media. “Historically, one of the central motivations in cases, although not the only one, is a desire for notoriety and a desire for infamy, and now we have a setting, a cultural and social setting, where your act of multiple homicides will be known about internationally within moments,” he said. So there’s a twisted incentive that didn’t exist a generation ago. Meloy also points to research, much of it done by San Diego State University psychology professor Dr. Jean Twenge, that shows narcissism among young people has increased. Blame helicopter parenting, an overabundance of unearned praise or reality television stars. Kids are much more sensitive to rejection than ever. Some 40 or 50 years ago, children wanted to be astronauts or doctors or lawyers. Now, the No. 1 thing kids want to be is famous. It’s important to note that the vast majority of narcissistic kids don’t pack a firearm in their backpack or plan a campus rampage. But those who do, inspire other shooters. That has been well-documented. 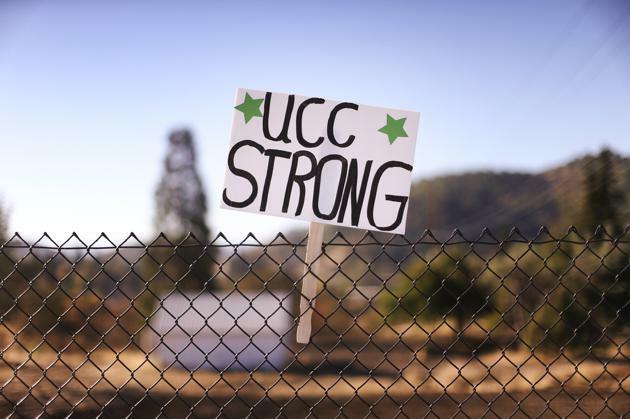 The young man who carried out the Oregon community college shooting had posted online that he admired the notoriety of the disgruntled former television station employee who shot and killed two former coworkers over the summer. In a recent article for The New Yorker, Malcolm Gladwell elegantly explains the threshold theory of school shootings, the idea that as incidents occur, the threshold for committing such acts is lowered, because shooters see more and more perpetrators. In essence, their own participation becomes less outside the realm of accepted behavior as they see others take part. “It has become a cultural phenomenon, and it’s feeding on itself,” Langman said. It’s important to point out that the young people who become shooters vary. Some, Langman would classify as psychopathic. These shooters lack empathy and are sometimes sadistic. Psychotic shooters, like the Virginia Tech shooter, may have schizophrenia and psychotic symptoms such as hallucinations and delusions. They often have trouble functioning socially and emotionally. Finally, traumatized shooters are those who may have grown up in dysfunctional families and suffered physical, mental, or sexual abuse. Some choose to go on a shooting spree at college, others in middle or high school. Some target specific people they feel have wronged them, while others want to inflict as much harm as possible on random victims. There’s no single profile, and some of the stereotypes that surround school shooters are not accurate. Not all are white, Langman chronicles in a database of shooters, and not all are mentally ill. This spiral can be particularly debilitating for boys, who feel that the masculinity society teaches them is a source of power is somehow malformed or jeopardized. If society says it’s not okay to seek mental health counseling, for instance, or to prefer ballet over football, that can damage a kid’s self-confidence and sense of belonging. Arguably, there is more tolerance for self-expression and more places, online or in real life, to seek belonging, than there were 50 years ago. But Twenge and other scholars suggest that, at the same time, our sense of collectiveness as a society has declined, which might complicate empathy. Anxiety is also up among college students. All of this is to say that there’s no simple fix. As with narcissism, the vast majority of people with mental illness do not take violent action, the same way that most gun owners are responsible. Not every shooter is mentally ill, and it is impossible to identify a shooter by the clothing he chooses to wear or the music he likes. Meloy and Langman agree that better mental-health care would help. Schools, Meloy pointed out, have stepped up security measures by restricting entry points and, in some cases, bringing in guards or armed officers. But both point out that schools tend to focus on crisis response and not on prevention. “I consider this a public-health problem,” Meloy said. Langman, too, says he thinks more money spent on mental health, either at the school or community level, would help, as would destigmatizing mental health issues. A list of warning signs has emerged as the frequency of tragedies increases. Often, shooters tell someone what they plan to do, an action known as “leakage,” but frequently those comments aren’t conveyed before a shooting occurs. Sandy Hook Promise, a nonprofit launched by those who lost loved ones in the December 2012 massacre, has launched a “Say something” campaign to encourage middle- and high-school students to tell school officials or other trusted adults if they see or hear threats or other warning signs. Sometimes, though not always, shooters are disengaged. Making sure that every child in a school is known by at least one teacher or coach could help schools not only identify potential violence before it occurs, but prevent a kid from considering violence in the first place. “Having a real connection with at least one adult in their lives may be the saving factor,” Langman said. While Langman thinks the gun control debate sidetracks from the real issues, he did say that parents need to keep guns secure. The Washington Post recently published a disturbing infographic that reveals toddlers are shooting people on a weekly basis in this country, often because they come across unsecured guns in homes and the backseats of cars. In places such as the United Kingdom and Australia, Meloy said, school shootings don’t happen as often because access to firearms has been restricted. Not strangled by the National Rifle Association’s powerful lobby and deep pockets, lawmakers there had the political will to enact controls like universal registration and background checks. While the chances of gun control measures clearing Congress anytime soon are slim, shootings, as Langman said, “aren’t inevitable. There are things we can be doing.” The changes take buy-in from families, schools, and society more broadly. They won’t be easy. But the consequence of inaction, as we learn all too often, is fatal.